In business, Garry has held many Executive Board positions with such organisations as Logica plc, ICL plc, non-executive and advisory Board roles with companies ranging from EDS, ITN News, Ernst & Young, HW Group plc, SECPAY... Internationally he has been an advisor to many Governments, eg UK, Sri Lanka, India, Indonesia and Guyana, while assisting many companies in all sectors throughout the world, such as Hewlett Packard, Cisco, GSK, Oracle, HMRC, IBM, Barclays, Verizon, Computer Associates, Walt Disney International and the BBC. As a scientist, Garry has been at the forefront of space exploration of the Earth and Planets as a member of the Jet Propulsion Laboratory, CalTech, Pasadena and NASA and advisor to ESA. 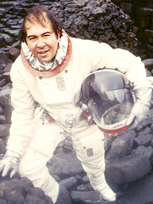 A member of many major missions, such as Voyager to the outer planets, where he was the only UK scientist selected by NASA, Viking to Mars and several Earth climate missions and continues to share these unique experiences audiences all over the world. Garry is an experienced speaker, able to communicate with all audiences; from Boardrooms, company groups, conferences to schools. He spent more than a decade as the ITN Space Adviser appearing regularly as well as continuing to make regular contributions to many BBC programmes from Horizon to Sky at Night (co-presenter); anchoring coast to coast US shows and presenting a series for CBS, as well as numerous radio and TV contributions on four continents. He is a skilled & experienced facilitator and chairman from dinner parties, small groups to large international conferences. Managing Business & Technology; Lessons for successful Governance? Management of Complex Project, Leadership & Motivation; lessons from the space programme. Exploration of the Solar System; Mars, wanted dead or alive? The Earth’s climate is changing; what are YOU going to do, NOW? Garry richly varied career has taken him through academia & space science where he has held senior positions at leading Universities in the UK and US, Boards of many major companies to advisory roles with leading companies, Governments & the Institute of Directors. He is also a visiting Professor at Business Schools in the UK & US. 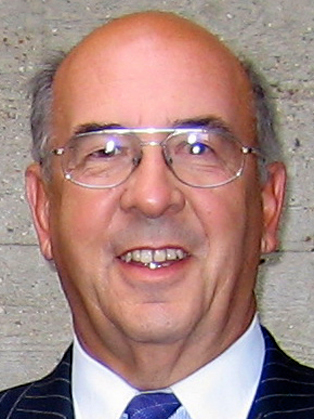 His varied career has been recognised through awards by NASA & the Royal Meteorological Society for his scientific and space science activities; by ITN/LWT (television); for his commutations skills by ICL for his business achievements; as a Freeman of the City of London and in 2002 he received a Queen’s Golden Jubilee Medal for his community activities; an author of 9 books and more than 350 papers. 1990 Jubilee Lecture, British Computer Society, "Challenge of 90s"
1992, AIT Lecture, City University Business School, "Management Survival in 90s"
A dedicated & vastly experienced business man capable of delivering on his promises across multiple roles within an enterprise to generate real value.Whether he is mentoring, presenting or articulating & debating business issues he has the ability to hold an audience in the palm of his hand. His gravitas and professionalism whilst discussing and delivering corporate messaging are always at the forefront of strategic delivery. Working with kind, good and talented people, such as you, during my diplomatic career has meant so much to me. Without this support, I would not have been able to achieve so much. I look forward to our continued co-operation. It is a great pleasure working with someone with such initiative, directness, and common sense. An excellent businessman who delivers on what he promises, time and time again.